Want to experience the wonder of the Northern Lights, but not a fan of traveling in big groups? Our Northern Lights Minibus Tour is the perfect solution. Our Premium Minibus Tour will whisk you away on an intimate adventure to hunt for the Northern Lights. With a maximum of 17 people, you’ll be able to enjoy the peace and serenity of this magical natural phenomenon with a small group of fellow travelers. Watch as the glowing colors of the Aurora Borealis dance above the silent, snowy landscape. You’ll even get some delicious Icelandic treats to warm you up. More on that soon – keep reading for the details, or reserve now and find out for yourself! 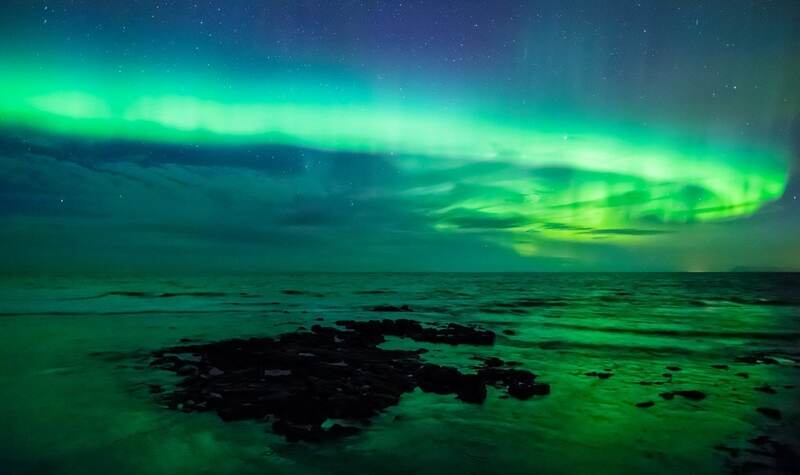 In Reykjavík, Northern Lights tours are one of the most popular trips for travelers looking to experience the best of Iceland. And for good reason! The Northern Lights are one of nature’s greatest phenomena. The shimmering blankets of colorful light adorn the skies above Iceland on clear nights. Our Premium Northern Lights Minibus Tour is specially designed for you to admire these spectacular lights in the cozy atmosphere of a small group tour. Your adventure will start with a quick and easy pickup from downtown Reykjavík. Then, your small group (maximum 17 people) will head out on the minibus in search of the mysterious Northern Lights. An expert guide will be on hand to share all sorts of interesting facts about the Aurora. They’ll also hand-pick the locations for your tour, to maximize your chances of seeing the Northern Lights. This means that the tour destination varies each night depending on the weather and atmospheric conditions. When the time and place are just right, you’ll get off the bus and have time to admire and photograph the Northern Lights as they flicker in and out of view. People often describe the lights as “dancing” across the sky. You’ll see what they mean when you experience this elegant waltz for yourself! Winter nights in Iceland can certainly be icy. So, we’ll have some delicious Icelandic refreshments on hand to keep you warm before we head back to Reykjavík. 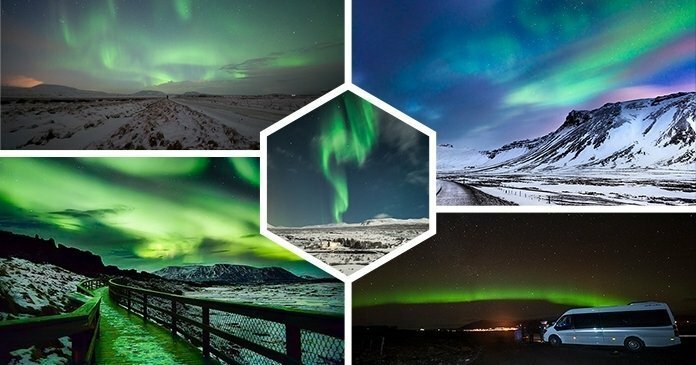 With the planning of our experienced team, chances of seeing the Northern Lights in Iceland in the winter months are pretty good! That said, the lights are quite elusive by nature. 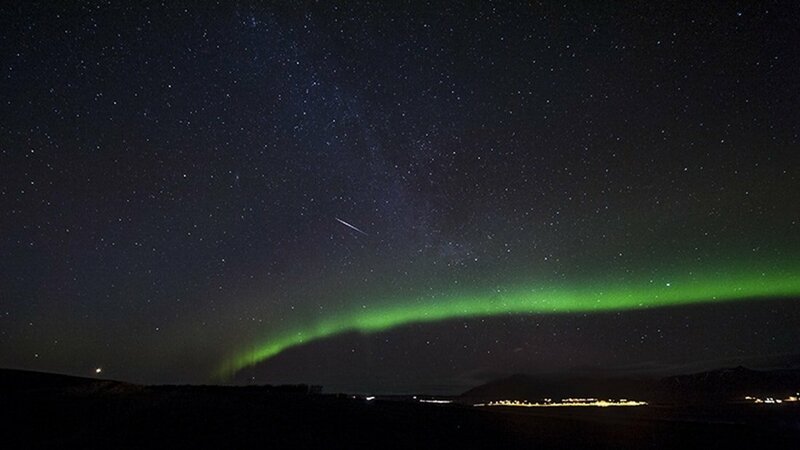 Since Aurora Borealis visibility is dependent on weather and atmospheric conditions, viewing is not guaranteed. If the lights aren’t visible on your first tour, don’t worry! If you don’t see the lights the first time, you can join as many more of our standard Northern Lights tours (non-premium) as you need, free of charge (subject to tour availability). We’ll do our utmost to make sure your Northern Lights excursion is a success. For your comfort: Be sure to dress warmly! The weather can change suddenly in Iceland. 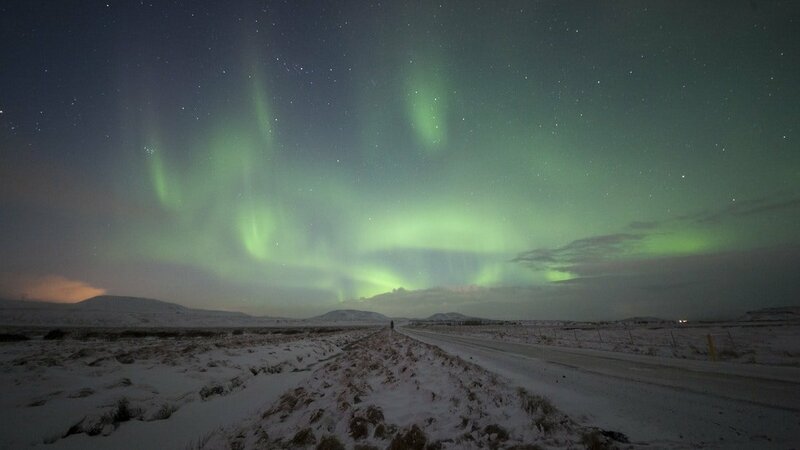 We’ll be braving the cold Icelandic night on our hunt for the Aurora, so be prepared. We recommend dressing in layers, including a waterproof jacket and pants, hat and gloves, warm socks and waterproof shoes. First of all, the tour guide for the northern lights was amazing! He was fun and knew exactly what he was doing! He took us to an area where there was nobody else (a long drive) and we saw the most amazing lights!! Although it was really cold, I can say it was one of the most magical experiences of my life! Having traveled a lot, I do not say that lightly! I would recommend this tour to anyone wanting to see the northern lights away from the masses. We took a Northern lights small bus tour, and were rewarded with several sightings! Our guide, Simon, was knowledgeable and so accommodating - he stopped several times in different places so that we could view the lights. It had been a cloudy day, so we weren't expecting to see anything, but Simon found spots that were clear, and showed us how the lights form and how to take photos of them. This tour exceeded my expectations!! Great service really. Small minibus picked us up at nearby bus stop. The bus arrived promptly. It was mayhem with all the other people waiting to get in the large buses so we were very happy to hop on a "no nonsense" bus! Stopped at a gas station to go to the loo and get hot chocolate then headed off in search of the northern lights. We had no luck first time but we rebooked (free of charge) for another night and got to see the lights 2nd time around. It was great that they allow you to go out again without charge. We were very lucky to see them. The Northern Lights, or Aurora Borealis, are one of nature’s greatest light shows! They appear in the skies over high-latitude regions. This natural phenomenon is caused by solar winds agitating the magnetic field of the earth. This causes gaseous particles in the atmosphere to collide and give off light. The colors of the Aurora Borealis can vary, including green, white and even pink or red. Although we know the scientific explanation for the Northern Lights, they still inspire a timeless sense of mystery and enchantment. You’ll learn more about the Aurora Borealis from your expert guide during your Northern Lights hunting expedition. 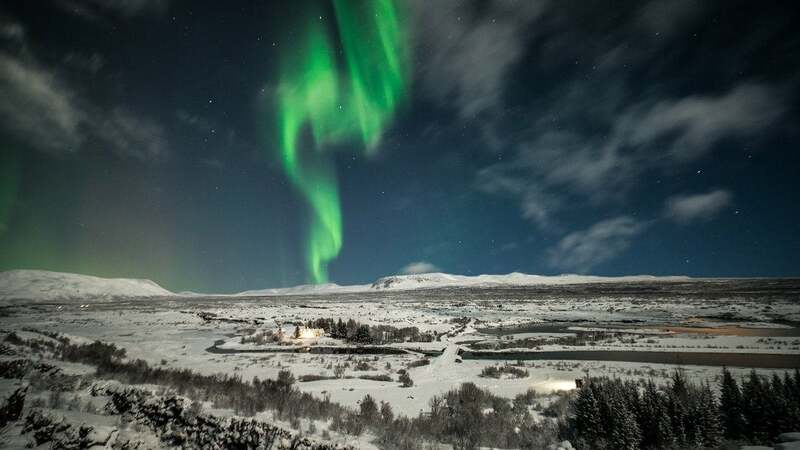 With its high latitude, Iceland is one of the best places to see Northern Lights. The countryside outside of Reykjavík is nice and dark, so we’ll head out of town away from the light pollution. 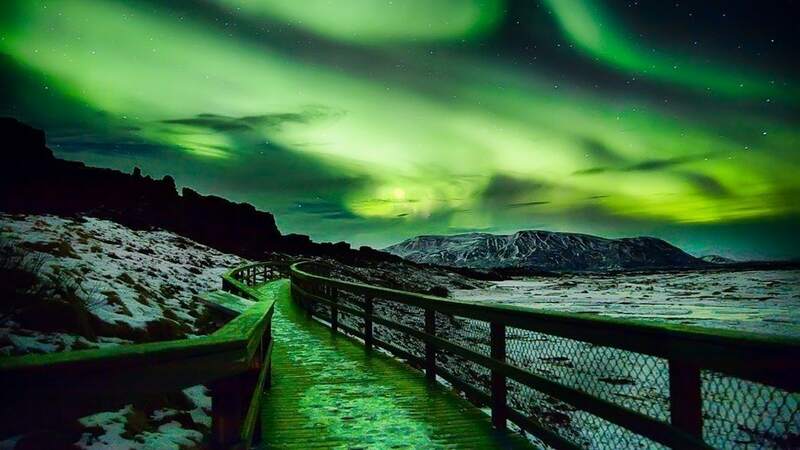 The Iceland Northern Lights season lasts from around August to April, over the winter months. The best time to view the Northern Lights in Iceland is between 10 pm and 2 am. So our premium minibus trip is an after-dark adventure! The Aurora forecast in Iceland is quite a detailed science. Our team are on Aurora watch all day to predict the best location for your trip to see the Aurora Borealis. They’ll be carefully scanning the data to pick the best direction for the evening of your tour. 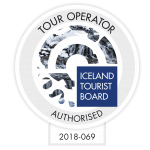 Pickup is available at selected hotels and at designated tour bus stops throughout downtown Reykjavík. There is a 30-minute pickup slot, so the bus may collect you any time up to 30 minutes after the time on your ticket. 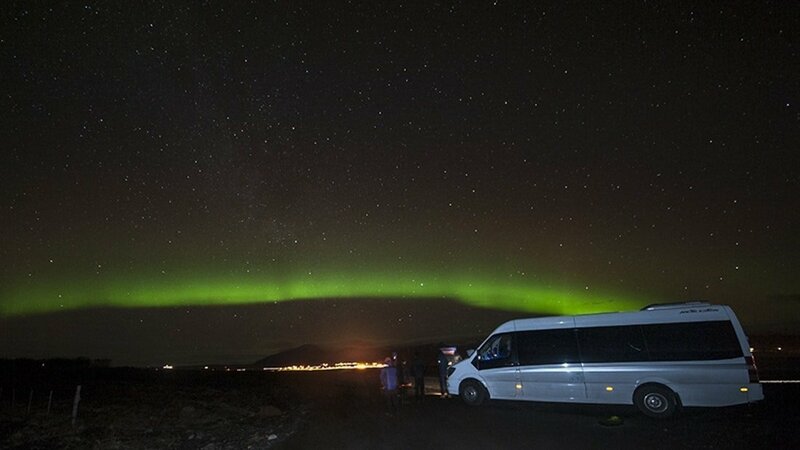 To ensure the best experience for all, children under 8 cannot join the Northern Lights Minibus Tour. It’s a late-night tour and hence overly tiring for younger kids. Are you a budget-conscious traveler? Check out our classic Northern Lights Tour. This is a budget-friendly option, offering the same spectacular lights for a lower price. You might enjoy our Deluxe Northern Lights Tour. This is one of our top tours, offering an upgraded Northern Lights experience in a customized luxury bus. If you’re looking for a small group travel experience, the Northern Lights Minibus Tour is one of the best Northern Lights tours in Reykjavík. Head out on your Northern Lights hunting adventure with the convenience and intimate atmosphere that small group tours provide. With just a bit of luck, you’ll witness one of Earth’s greatest natural wonders. The shimmering colors of the Aurora Borealis are well worth the suspense!